If you are making espresso at home it doesn’t take long to understand the importance of having a good espresso mug or set of demitasse cups! Standard coffee mugs, even the smaller ones, are just too big for espresso and many espresso based drinks. 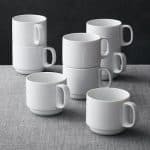 Here on the GGC site we know that there are tons of different types of espresso mugs to choose from and there is no single best set of espresso cups so we wanted to split this product line up into a bunch of curated pages for you. Below you’ll see different types of mugs and sets. 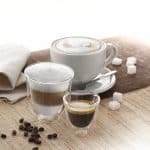 Check them out based on yoru own preferences to find a few really good options for your home coffee bar! 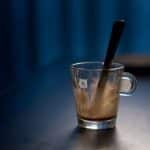 A nice set of clear glass mugs for your espresso maker or Nespresso machine is a basic staple in the kitchen. We feel like it’s almost as important as having a grinder or even coffee beans! Bigger coffee mugs are just not the right size for espresso and the visual appeal of glass makes your shot stand out as you can see all of it’s layers. Here are some of our favorites. 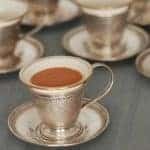 A traditional ceramic espresso cup is something every espresso enthusiast should have in the cabinet. 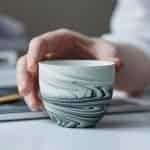 They are timeless and if you buy quality ceramic pieces and take care of them they will last for generations. 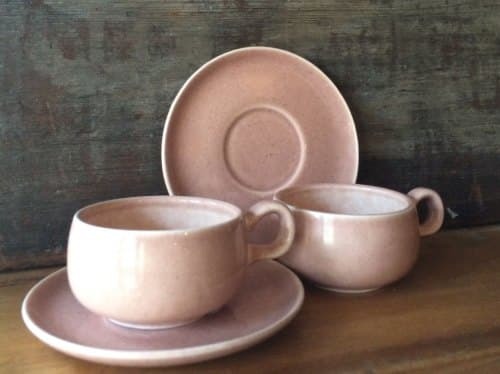 Sure, you could always go to the dollar store and pick up a set of cheap ceramic cups but these are ohh so much better and even on the high end they don’t cost very much either. Espresso is usually served in 1.5-2 ounce servings. 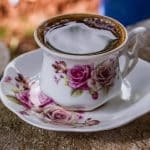 For most people however it is common to serve double espresso or lungo shots because 4 ounces is more satisfying to drink! For your home coffee bar we suggest any of the following double shot mugs. They are all still smaller than normal coffee cups but big enough to accommodate a larger pull. It’s super handy to have a set of stackable espresso cups because they take up far less space and are easy to keep organized. Here are our favorites! We love stainless steel mugs because of their durability and look. They clean very easily, impart no extra unwanted flavors to your espresso, and you don’t have to be so gentle with them like you do with conventional materials like ceramic and glass. Check these out for information and pricing. 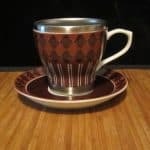 If you choose to get a small set of espresso cups then you will quickly realize how nice it is to have a dedicated holder or stand to store them when not in use. Here are some excellent options for keeping your espresso cups in order.